Family vacations are truly eminent to make the bonding among the family members more strong so choosing the travelling site that suits the taste of every family member is the key part to have a beautiful playful vacation. Many of the tourists destinations are there that can be opted but if you and your family are “aqua- people” then you got a get- to- go. Thailand is one of the most beautiful watery destinations that will endeavor the tropical cool area to a tourist to be relaxed on. If you want to have a super family adventure then go straight to Thailand that bestow a buffet of rain forests, tropical beaches, mesmerizing seashores, islands, magnificent temples, hill tribes, affluent history and fantastic food. Explore the mighty temples and rich cultural heritage being in the center surrounded by mountains and rainforests in Chiang Mai. Phi Phi Island is nothing else but heaven on earth because of its matchless beauty. Before going to the northern side, a must visit in this itinerary is of buzzing Bangkok with its tuk tuks and markets with unlimited flock and what I can say about Bangkok that is the heart of shopping in Thailand. If you plan a trip to Thailand from UK, Chiang Rai is not less enthralling than Chiang Mai that is home of dramatic mountains sceneries with fascinating hill tribes. Khao Sok National Park is the world’s oldest rain forest park and has thousands of eye- catching creatures including Elephants, monkeys and countless bird species. Most of the family adventure holidays that are designed by the travel agency are of 2 to 3 weeks because it is time when you can easily explore all of what you want without the time being excessively extended. If your trip gets too long then it will start bothering you and of course the cost will be more and more. You and your family can have a lot of fun, amusement and charm waiting for you at every corner of Thailand. The moment a family arrives at the airport their fun time get started. After sorting out the issues of transportation, accommodation and baggage, a whole new world of beaches and island is ready to serve you. Most of the families prefer to do outing at beaches and islands but very few of them goes towards the other option. The northern side of the country receives very less visitation as in contrast to the other tourism destinations so it makes the northern side an ideal place to be visited by the family for a perfect family adventurous holiday with mesmerizing sights and enjoyable activities. What a family thinks before going all the hauled way and visiting Thailand? Just going and lying down on the beach drinking some fresh juice is surely not what they had planned. If a family is going to have some adventure in Thailand then they should have to try everything that the country bestows from a longboat tour of Bangkok, a sitting with a hill tribe community, a cooking tutorial in Chiang Mai and a somber visit to the notorious bridge over the Kwai River. The amusement will be more if surfing and swimming will be added in the plan too. 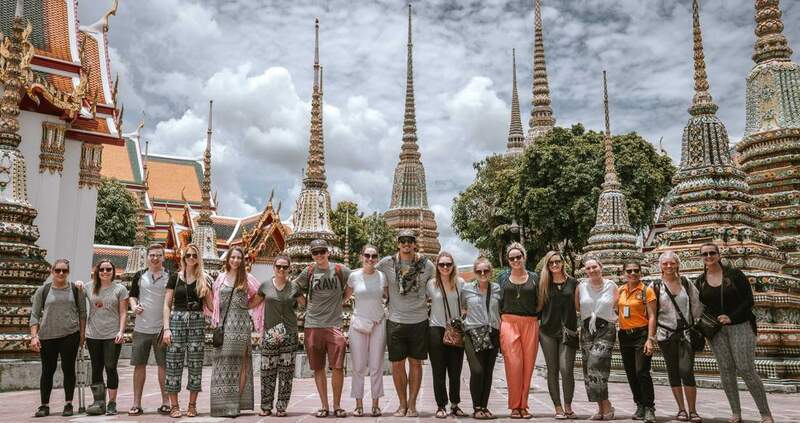 Of course the trip begins from Bangkok because the landing of the tourists occurs at the Bangkok International airport so obviously the first target to have some fun is the capital of the country. An unusual yet full of fun random trip is what makes the sight of busy Bangkok more fascinating and beautiful. The unusual day tour gets through using public transport from point to point to discover the notorious sites of the city including temples, museums, markets, its latent corners and commemorating highlights. 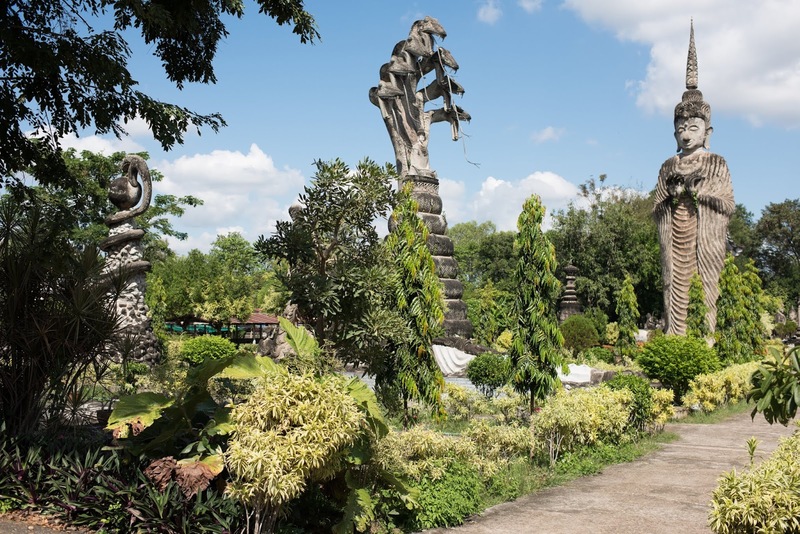 When you are done with exploring and enjoying Bangkok attractions, head towards North that will lead you to Sukhothai the ancient capital of Siam that can be reached by bike. Sukhothai will act as an intersection between Bangkok and Chiang Mai that is another famous destination to visit in Thailand. Explore the beautiful temples, sparkling markets and shady lanes before further heading towards the north to experience the striking scenery and small yet beautiful villages pertaining to remote region. Other than Chiang Mai, don’t miss the chance to discover Chiang Rai that can be referred as a twin site to Chiang Rai where you can hike an travel by boat to have some goodtime exploring mesmeric landscapes, staying overnight in a hill- tribe village and spending a day or two in the border territory of the Golden Triangle. After that though the time will be short but don’t forget to give a visitation to Phi Phi Island that is considered one of the best Island in the world because of its cool breeze and pleasant sceneries that is hard to find in our busy life schedules. Grab the chance to have a peaceful time lying down at the seaside of Phi Phi Island and experience the best that the nature I endeavoring you. If you are a history lover and want to explore this country regarding the ancient buildings and stuff, then Thailand will not leave you in disappointment. Iconic temples like Wat Pho, Wat Arun, Wat Phra temple (also known as Emerald Buddha Temple because of having a magnificent Buddha places inside it) are some of the most famous temples that not only elicit the great history and architecture of the country but shows the religious part as well. Throughout of your jaunt in Thailand, you will have lots of chances to meet the friendly and hospitable Thai people. And of course no family tri can be completed without gusto meal. Thailand’s spicy food is a matter of food talk not only in the neighboring countries but Thai food is famous for its unique flavor and rich taste all across the world. Tuck into Thailand’s amazing cuisine eating at the places that the locals will recommend you. Tasting a flavor at its home country is something you are not endows to do anywhere else. Make this season the time of your trip to Thailand. For the purpose, make elite travel be your travel companion and make your journey completely restful and congenial.